Living in Monona - Monona Chamber & Economic Development, Inc.
Is this Heaven . . . or is it Monona? Enjoy an excellent quality of life here! 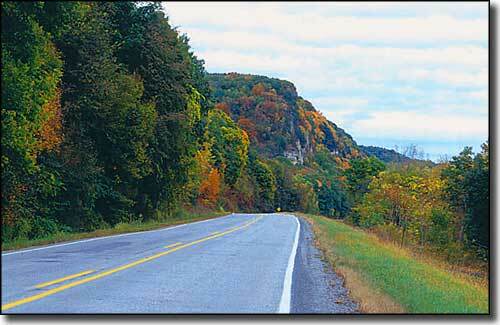 Monona is located in the geological area known as the "Driftless Area", sitting atop the Paleozoic Plateau. The most distinct of the land-form regions is the Paleozoic Plateau which is located in the northeast tip of Iowa. ​This region is the only one of its kind "in the world"! It's recognizable to visitors because of the rock outcroppings and ledges, very little glacial deposits, deep narrow valleys, cool-water streams, and heavily wooded uplands. The rock formations in this region contain layers as young as 300 million years and as old as 550 million yrs. 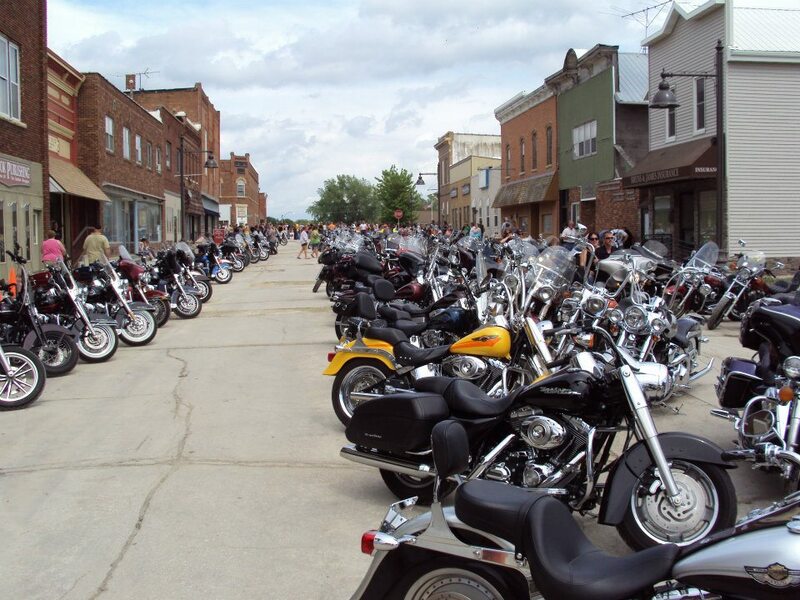 This all accounts for the spectacular scenery and abounding recreational and sporting opportunities you'll find in and around the Monona area. 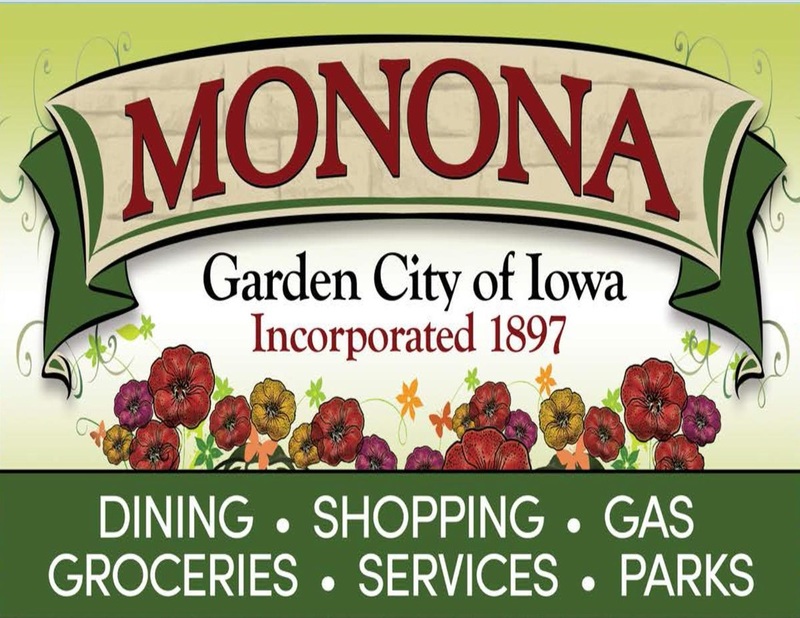 ​Surrounded by abundant natural resources -- such as Pikes Peak State Park, Effigy Mounds National Monument, and Yellow River State Forest, all nearby just a short drive away -- Monona is recognized as Iowa's first "Garden City of Iowa" since 1931 and "Gateway to the Yellow River Forest". Along with its wooded hills and prairies and farm fields, the City of Monona sits on one of highest locations in Clayton Co. at over 1,200 feet in elevation, atop four main watersheds for Turkey River, Bloody Run, and Yellow River. 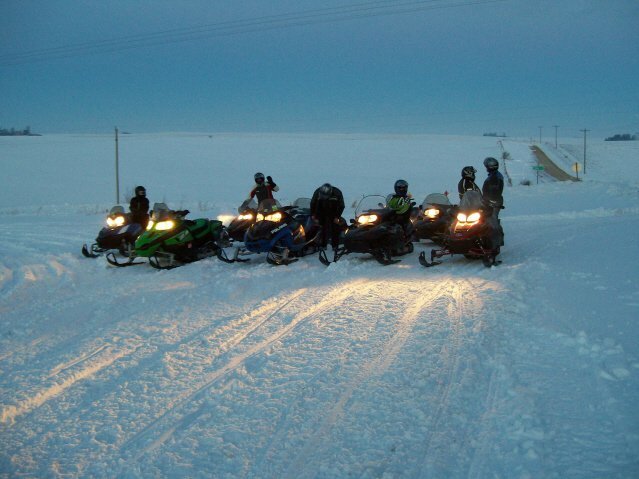 Year-round recreational and sporting activities include camping, canoeing or kayaking; fishing and ice fishing; hunting; snowmobiling, snowshoeing, or cross-country skiing; hiking; biking or motorcycling; and, much more. ​﻿With big hearts and energetic spirit, Monona's 1,549 friendliest neighbors go the extra mile to make visitors and newcomers feel welcome and at home. One visit to Monona and you'll know what we mean! The city, donors, and volunteers literally built the area's first all-inclusive handicapped-accessible children’s playground in Monona City Park, the closest comparable park is located within a two-hour driving radius. 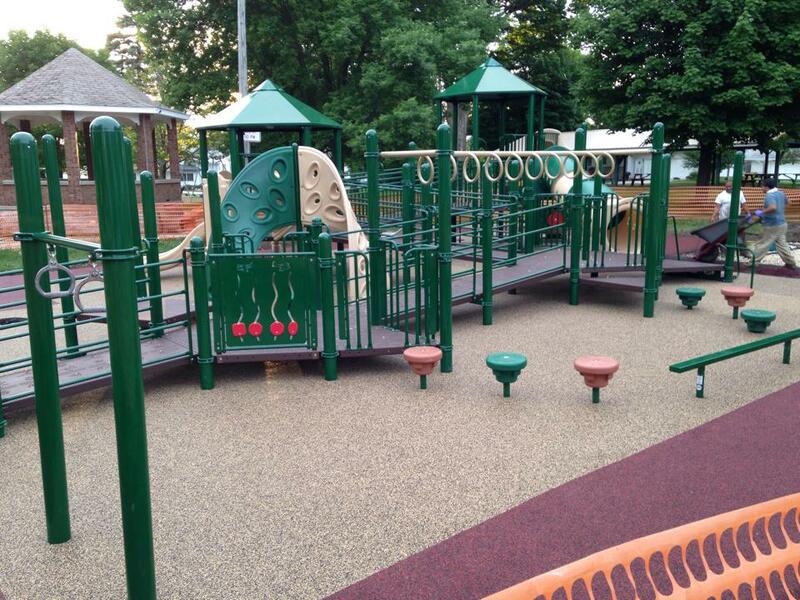 This park provides stimulating, educational, entertaining and playful opportunities for tri-state children of all ages and abilities, some of whom may be discovering for their very first time the ability to play alongside all other children in a state-of-the-art, safe and secure playground setting. ​From birth, babies learn about their world using their five senses: seeing, smelling, hearing, feeling & tasting. As they grow, children’s senses are their most familiar and most basic way to explore and process new information. Sensory play enhances learning through hands-on activities that stimulate the child’s senses. This is a great way for children to explore the world they live in . . . right in their own backyard! This community reflects the very best of progressive, small-town living. Regarded for its well-maintained homes, citizens' involvement, excellent school system and quality of life. Monona won Iowa’s first Community Betterment Award, followed by numerous first place awards in many categories. 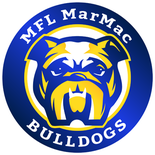 The MFL MarMac Community School District provides outstanding K-12 education for about 1,075 students in two locations. Jointly, the cities of Monona and McGregor and MFL MarMac CSD provide excellent day care facilities in both Monona and McGregor. Head Start offers programs for preschool children in Monona. There are four beautiful parks with butterfly and flower gardens; woodland and prairie trails; all-inclusive children’s playground; picnic tables, shelters, charcoal grills; old-fashioned city park band shelter; a basketball court transformed into a community ice skating rink. Gateway Park & Campgrounds, as well as nearby Spook Cave Cabins & Campground, has RV and camping sites and nearby is the family aquatic center, outdoor bike park, school's tennis courts, places to eat & shop, and much more. Monona is home to the largest-known display of hand-carved wooden chains, plus interesting, local, historic artifacts at Monona Historical Museum. The city -- with its new single-family housing developments, 15-acre commercial park, strong business community, quality school district, natural recreational areas, and municipal airport -- is strategically located in northeast Iowa on U.S. Highway 18 - 52, about 13 miles west of the Highway 76 intersection at the mighty Mississippi River bridge, Great River Road (see North American GRR driving directions), Mississippi River Trail (MRT) and River Bluffs Scenic Byway. ​Industries locate here based upon dependable workforce, high degree of productivity, and above-average profits they receive. I & M Railroad offers off-track holding for freight loading and unloading. Lighted from dusk to dawn, the airport’s approximate 3,000’ runway has 24-hour accessibility to / from Monona by Dubuque, La Crosse, Cedar Rapids commercial services. 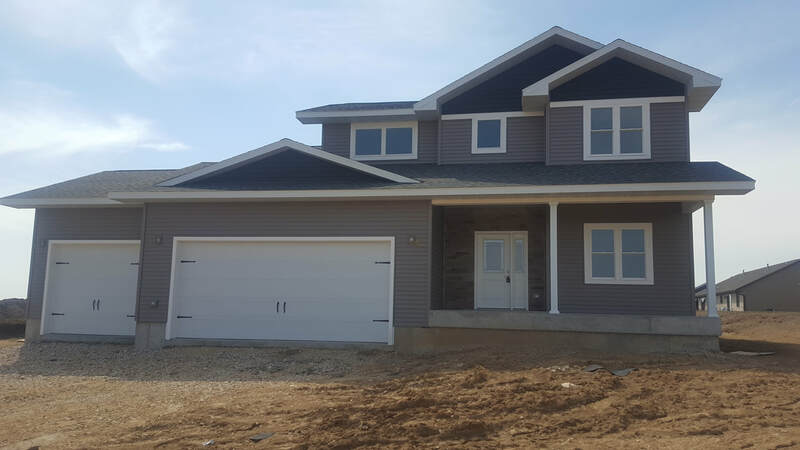 Single-family housing has recently been expanded into the Gordon Subdivision and Heying Subdivision. In 2015, Garden View Senior Community celebrated its 10th year anniversary of operation. The all-volunteer Monona Fire Department and MFL Ambulance Service are equipped with some of the most-modern equipment. Law enforcement is performed by three full-time police officers of the Monona Police Department who are responsible for Monona's consistently-low crime rate. Our 2016 fire department is shown above. The photo above shows the Marting Woodcarving Room located inside the Monona Historical Museum, which is free and open to the public on weekdays and Saturdays from 1 to 4 p.m., or on Sunday by appointment. With over 400 different types, sizes and styles of hand-carved chains, this is the World's Largest Known Display of Hand Carved Chains. Enjoy this article entitled, "500 Chains: A World Record?" by Jim A. Anderson. ​Many groups, organizations, churches, museums, and public library offer activities, recreation, and religious studies to people of all ages. Long-time medical services are provided by a satellite medical clinic and new 2017 medical clinic, dental office, chiropractic office, and pharmacy, plus four hospitals serve us within a 30-mile radius. ﻿Historic downtown recently underwent a total make-over of its sidewalks, streetlights, and some building signage and façades with incentives provided by the City of Monona. Various downtown retail shops offer many specialty and every-day needs such as pharmacy, salons and spas, antiques, up-cycled furniture and art, quilt shop and fabrics, car parts, two restaurants and bars, lumberyard, floor covering and interior design, and more. ​Monona maintains its own local newspaper, The Outlook, for which it is the city's newspaper of record, and the North Iowa Times (which is Iowa's third oldest weekly newspaper published out of McGregor, IA) covers Monona's news and the entire school district's news, for which it is the school's newspaper of record. Monona can attribute its success to the energy, cohesiveness, and vision of our citizens, government, churches, and civic organizations. Monona city government is made up of a mayor, council, city administrator / clerk, boards and commissions. The City council meets on first and third Mondays of every month at 6 p.m. at city hall. The public is always invited to attend these public meetings to address their concerns and ideas with the city council.